Several members of the Spearfish Area Historical Society have made available their old photographs of early-day Spearfish. In coming days, we'll be posting many of these gems in our Spearfish Yesteryear gallery. This arrangement will also necessitate a few changes in the appearance of this website, as we configure the photo gallery to which this site will be linked. 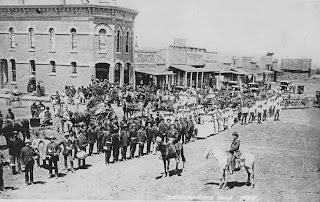 Simply put, you'll be seeing many more old photographs like the one shown here. 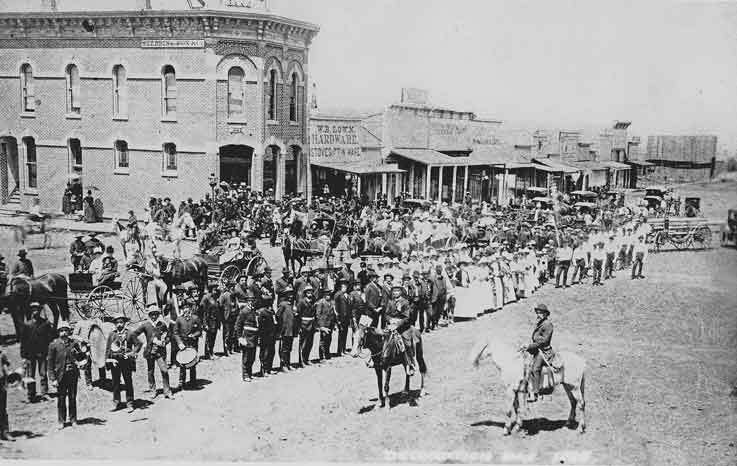 This is a scene of downtown Spearfish taken on "Decoration Day" in 1885.